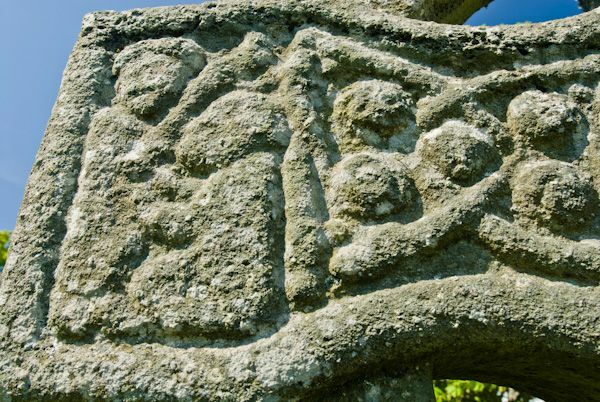 A magnificent 8th-century high cross stands outside the ruined church at Kildalton, on the south coast of Islay. 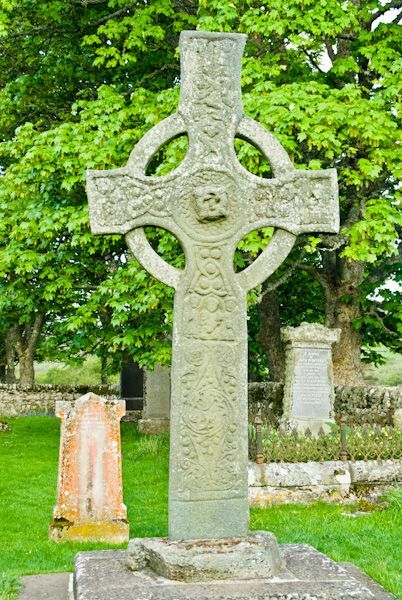 The Kildalton Cross is considered one of the best high crosses in Scotland and is similar in style to several crosses of a similar age on Iona, suggesting that it was made by a stonemason from Iona. 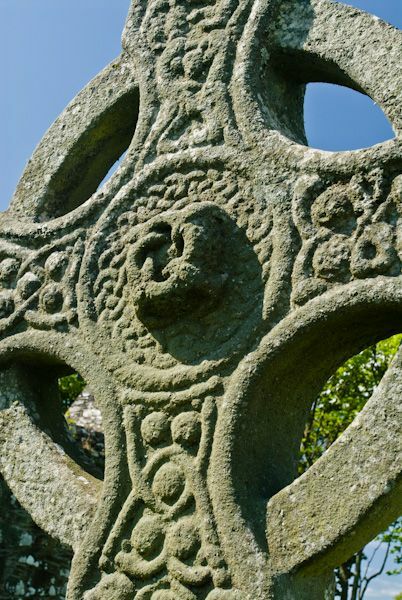 The cross has a central boss with a ring around the cross head in a style often called a Celtic cross. 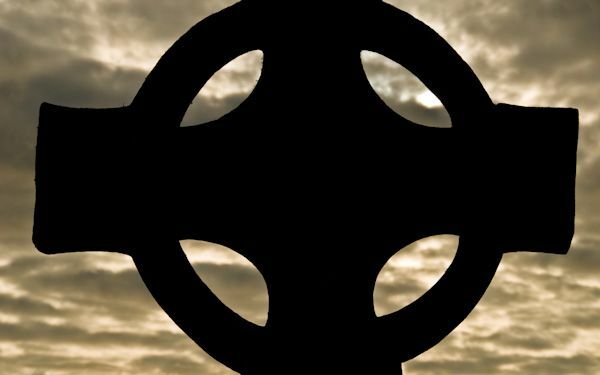 The Kildalton Cross stands 2.65 metres high, and its prodigious arms span 1.3 metres. It is carved from a single block of local epidiorite, an extremely hard stone which has resisted the best efforts of the Islay weather for over 1200 years. 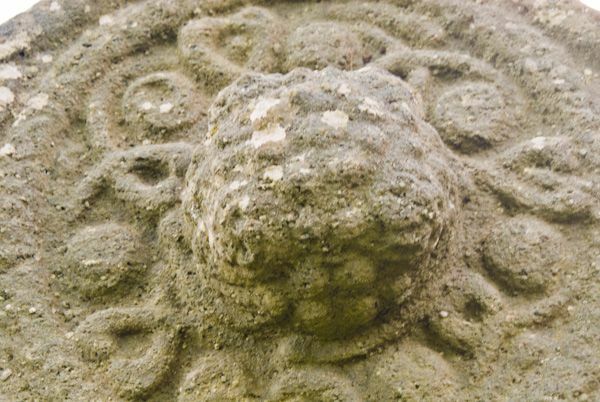 The stone is also resistant to local lichens, which means that the wonderful carving can be easily examined. The east face (the seaward side) depicts a pair of angels above a carving of Daniel struggling with a lion. 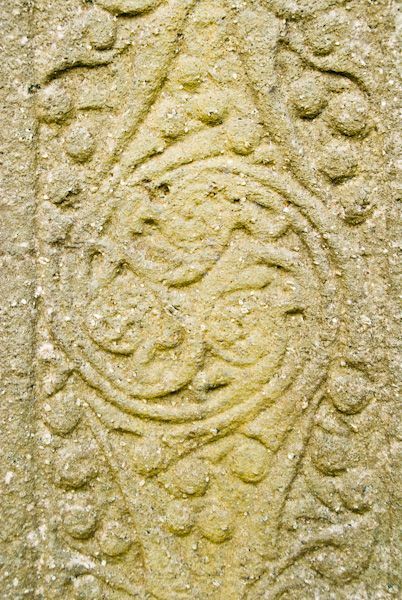 Below that are two birds feeding on grapes, and on the shaft is a carving of the Virgin Mary with Christ and angels. One of the cross arms shows Abraham offering to sacrifice Isaac, while the other shows Cain killing Abel. 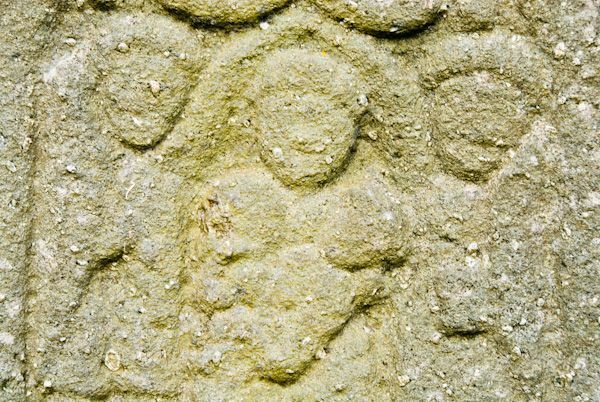 The west face (landward side) shows serpents twining around seven small bosses arranged around a prominent central boss. The arms show lions and more serpents. In 1862 a second, smaller cross was discovered under the cross foundation, and below that, the grave of a couple. The male skeleton showed evidence of a violent death. 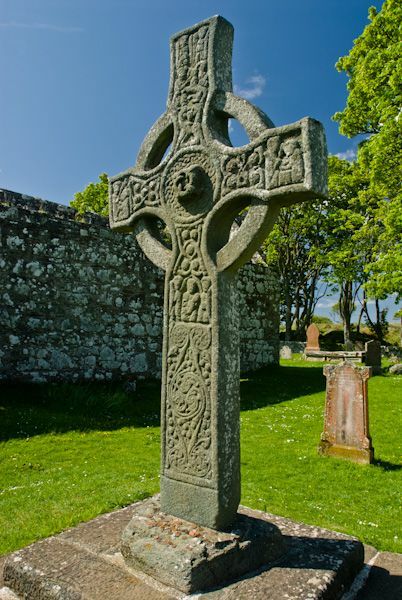 The buried cross can now be seen at the Museum of Islay Life in Port Charlotte. 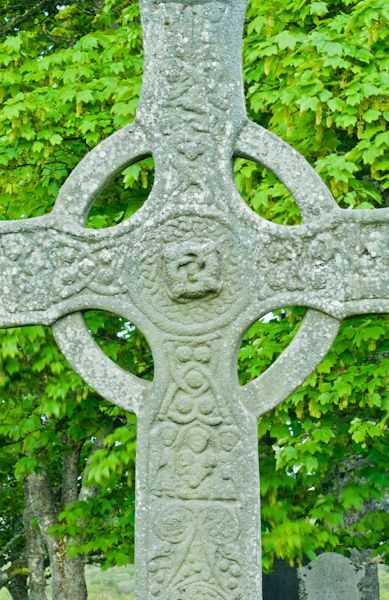 Very near the Kildalton Cross stands a second, slightly smaller cross, in a very good state of preservation. 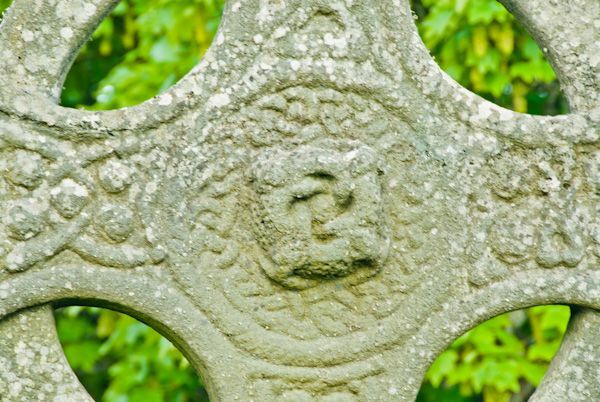 This cross is late medieval in date, and because it stands on the unconsecrated ground outside the bounds of the churchyard, it is said to stand over the grave of a criminal (who would not ordinarily be allowed to be buried in a churchyard). For this reason, it is dubbed 'The Thief's Cross', though we do not know for sure who it was erected to commemorate. There is still more at Kildalton beyond the pair of crosses. 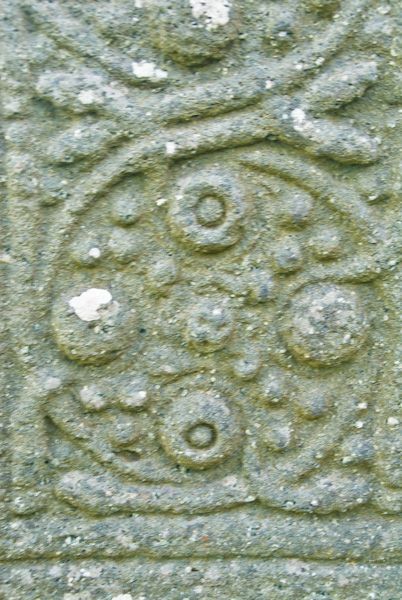 In the churchyard and within the roofless church are a number of nicely carved medieval grave slabs. One extremely nice effigy slab is set into the church wall. The church itself is a simple rectangular structure probably dating to the late 12th or early 13th century. At 17 metres long it is larger than most West Highland churches. The church was in use until the late 18th century when the centre of population shifted west to Lagavulin. I did not know what to expect when I visited Kildalton, but to tell the truth, it was a wonderful experience. I ended up coming back twice over the course of my week on Islay. 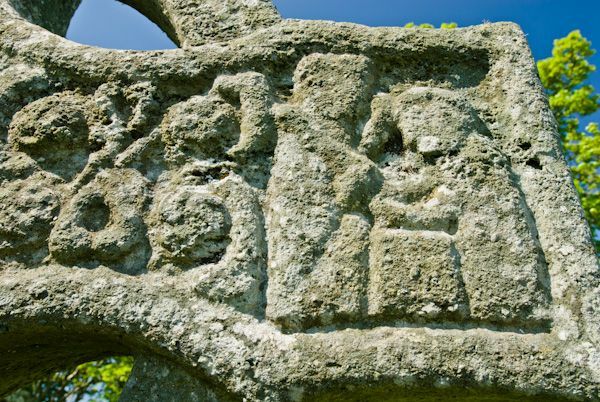 The combination of the two crosses, the ruined church with its carved stones, and the wonderful setting makes a visit to Kildalton an absolute must. I can't recommend it highly enough. Location: Take the minor road east from Port Ellen, past Lagavulin, to the ruined church east of Kildalton. Nearby accommodation is calculated 'as the crow flies' from Kildalton Cross. 'Nearest' may involve a long drive up and down glens or, if you are near the coast, may include a ferry ride! Please check the property map to make sure the location is right for you.